In order to cover all the skills that your child will have to master by the time they sit the 11+ test (in the autumn term of Year 6) either work through the worksheets below in order or pick those worksheets that cover topics where you know your child needs some extra help. There is a downloadable 11+ Learning Journey checklist to help you keep track of your progress. 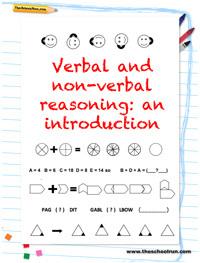 From a beginner's guide to the 11+ and an 11+ glossary for parents to detailed explanations of verbal reasoning, non-verbal reasoning, Cloze tests, CEM and GL Assessment papers and more, you'll also find lots of articles and information to help you support your child's preparation in our 11+ section. The 11+ is administered differently in each area where it's used, and the test itself will be produced specifically for that area or group of schools. Our parents' guides to each 11+ area give you a detailed overview of what you need to know about the test in the area where you live. As well as learning and practising English, maths, verbal reasoning and non-verbal reasoning skills, 11+ preparation should include completing some timed practice papers. CGP Books produce a series of 11+ Practice Tests for the CEM Test: Pack 1, Pack 2 and Pack 3 each contain two sets of realistic CEM-style 11 Plus practice papers with mixed questions on maths, verbal reasoning, comprehension and non-verbal reasoning. Variety packs of different papers are available for the GL Assessment test, but find out whether your child will be answering in multiple-choice or standard format before you buy: Variety Pack 1 (multiple choice); Variety Pack 1 (standard format); Variety Pack 2 (multiple choice); Variety Pack 2 (standard format); Variety Pack 3 (multiple choice); Variety Pack 3 (standard format). What is a grammar school? What is the 12+/13+ late transfer test?